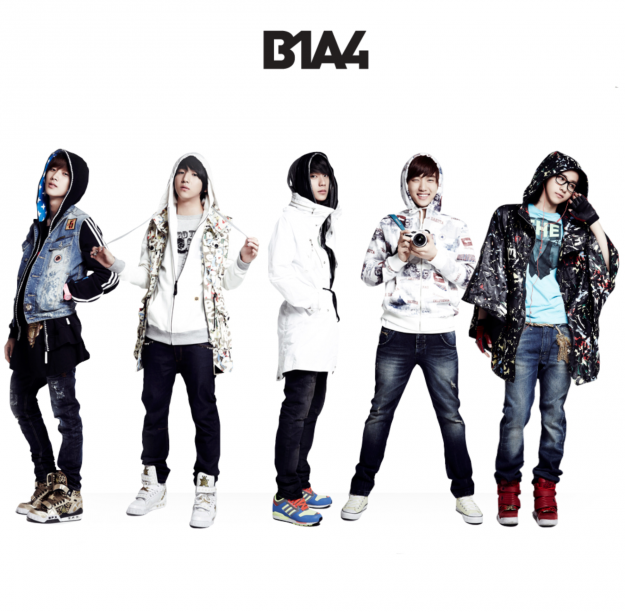 B1A4 is a five-member male group signed with WM Entertainment. Members Jinyoung (Jung Jin Young), CNU (Shin Dong Woo), Sandeul (Lee Jung Hwan), Baro (Cha Sun Woo), and Gongchan (Gong Chan Shik) debuted in the spring of 2011. Their unique name and it’s meaning, “Be the one, all for one,” along with the group members’ personalities, quickly garnered them a solid fanbase. . . . Read more at KPOPIANA!